THE Zimbabwe government is carrying out a major overhaul of the country’s mining legislation and regulations, but the southern African country’s miners are waiting for words to be turned into actions. That became apparent at the Harare Indaba – Investing in resources and mining in Zimbabwe – held today in Johannesburg where Polite Kambamura – deputy minister for Mines and Mining Development in Zimbabwe – outlined hugely ambitious targets for the country’s mining sector. In reply, Batirai Manhando, president of the Chamber of Mines of Zimbabwe, commented that the chamber was continuing to lobby the government over the proposed changes. Specific areas highlighted was the scrapping of the requirement that platinum miners had to sell 51% of their companies to local investors in terms of an indigenisation policy through which Zimbabwe had wanted to retain domestic control over production of what it considered a strategically important mineral. 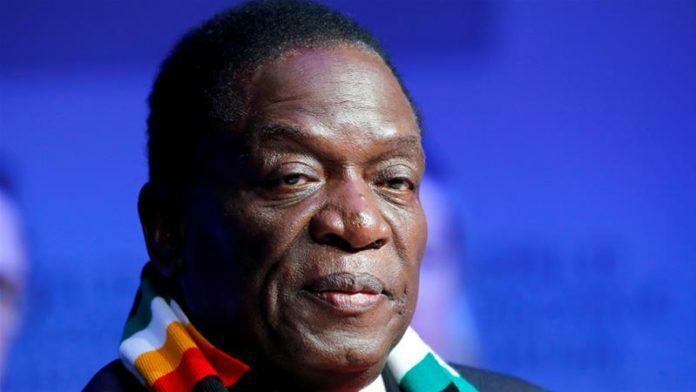 Zimbabwe finance minister, Mthuli Ncube, announced early in March during an interview with Bloomberg Television that this requirement was to be scrapped. Kambamura repeated that commitment today stating foreign companies would be able to own 100% of their platinum mining ventures in the country if they wanted. But, in his address, Manhando said the Chamber of Mines wanted to see the existing indigenisation legislation, which also affects diamond mines, officially scrapped and replaced with the new measures “… so that industry players will come in”. “These two require a lot of capital and if you put restrictions on them I don’t think you will be able to attract a lot of investment. We continue to lobby the government to address this officially,” he said. Asked why the chamber was still lobbying government on such indigenisation regulations – after comments by finance minister Ncube and deputy mines minister Kambamura that they were being scrapped – Manhando said he wanted to see the new legislation passed by parliament and the new regulations actually implemented. Kambamura replied that this would happen “… very soon, like yesterday”. In his address Kambamura said his ministry’s ‘vision’ was for the mining sector to earn $12bn in revenues by 2020, rising to $20bn by 2030. Key minerals to be exploited to reach these targets included gold, platinum group metals and diamonds. Zimbabwe’s gold production was expected to reach 100 tons a year by 2023 compared with a gold production target of 40t for 2019. But it seems one of the major negative factors affecting gold mining investment in Zimbabwe – the legal requirement for gold miners to sell their output to the Government through an agency – Fidelity Printers – is not going to be ended anytime soon. The official gold miners are charged a fee for doing this and do not get full value for their gold production. They are at a disadvantage to Zimbabwe’s booming informal gold mining sector which avoids this requirement through dealing on the black market and pays no tax or royalties to the state. Kambamura said there were “several engagements” underway with government to open up gold sales avenues to “other players”. But he added: “We are in a transitional period and gold is the major contributor for foreign currency so currently all gold production will be delivered to Fidelity Printers”. Asked how the Zimbabwe government intended bringing the informal miners into the official gold sector, Kambamura replied: “We have noted that there are a lot of leakages from that sector and the informal sector will be recognised in the amended mines and minerals act.